Getting enough sleep is an important factor in our daily lives, especially to our health. The amount of sleep you get can not only affect your mood, but it also can have a huge impact on your overall health. The amount of sleep you get can also impact your metabolism, making it difficult to lose weight, cause other problems related to stress, and may other negative side effects if you do not get enough sleep. One reason that your sleep may be lacking is because you do not have the right type of mattress to truly fit your needs. Sleeping on a mattress that doesn’t have the support your needs can cause sleepless nights, but it can also cause you to wake up with pain in your muscles. This can leave you both fatigued and sore throughout your day, which can hinder your performance during your daily activities. Getting the right mattress is an important need. What may be the best mattress for back sleepers, may not necessarily work well for someone who is a side sleeper. Side sleepers need a certain amount of support that can only be provided by certain types of mattresses. Memory foam may be a on the top of the list of the best mattress for a side sleeper. Memory foam mattress may be the best mattress for a side sleeper with back pain, as well as the best mattress for a side sleeper with hip pain. If you are able to, you can try out the type of mattress you are looking for at the store to see how comfortable the bed is. This is something that is recommended to do, as it is such an important purchase. See if it feels right to you. Lay on your side, and see if it gives you the comfort and support you are looking for. Before discussing the health benefits a side sleeper can obtain with a memory foam mattress, it can be helpful to know what a memory foam mattress is. A memory foam mattress is a mattress created with the memory foam technology that was originally created by NASA in order to help find a material for their astronauts’ seats to help deal with G-force experienced during take-off. 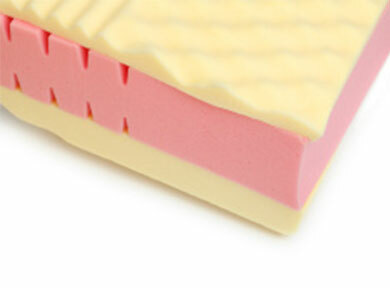 It is made of polyurethane, sometimes referred to as “viscoelastic polyurethane” or “low-resistance polyurethane foam”. There are both high density and low density options. You can get this option in both mattresses, as well as simply just purchasing a mattress pad made with memory foam. 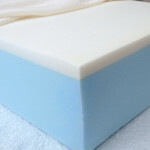 Memory foam mattresses offer numerous health benefits for the side sleeper. These mattresses should be heavily considered for side sleepers, and there is good reason for that. This quality mattress is a great option for a variety of sleepers, including side sleepers. Here are the top 10 health benefits of a memory foam mattress for side sleepers. Memory foam mattresses have this unique ability to contour to your specific body shape. This is especially important when you lay on your side as your body has curves that will need to be supported and contouring can get into every curve of your body as you lay down. As a result, it can offer a personalized sleeping experience to bring you to high levels of ultimate comfort. This is more than something that can bring you comfort; the contouring has special benefits that can really help your health. This individualized contouring to your shape can help support pressure points on your body. The support from this contouring can also relieve pain in your back, legs, neck, hips and shoulders. This is probably the biggest benefit that people can receive from memory foam mattresses. The idea of waking up without the usual achiness can greatly improve someone’s daily life, and the support your body gets from sleeping on this mattress can prevent those aches and pains. Support was a constant mention in the category about contouring. However, memory foam mattresses offer such great support that it was a point that needed to be restated. Memory foam mattresses are generally thicker and denser than the standard spring and coil mattresses. As a result, the mattress itself can provide a level of support that most other mattresses cannot. Additionally, you can get this support without the feeling of a spring digging into your side. Memory foam mattresses can also provide you this incredible balance between a firm, supportive mattress and a soft cloudlike surface that you can just sink into and fall asleep. As a result of this dreamy sleep, studies show that your mental health could greatly benefit from this. A great night sleep can positively impact your mental health, causing better moods and being more energized to face the day. When lying down in a standard mattress, you may find that you need to strategically place pillows to help give you better alignment in bed. Memory foam mattresses help perfectly align your spine to maximize your comfort while sleeping. As a side sleeper on a standard mattress, your pile of pillows is made to help this alignment, but the memory foam does this for you when it contours to your body shape. This can greatly help any future spinal problems that could happen by sleeping on a standard coiled mattress. This can also help prevent any back pain that you may frequently suffer from when you wake up, or even prevent this in the future. As you can see, proper spine alignment is hugely important to your health, and memory foam mattresses can provide that for you. What exactly is “sleep apnea”? Sleep apnea is an often serious sleep disorder where your breathing repeatedly starts and stops. When using a memory foam mattress, as well as the addition of using a memory foam pillow, this can help ease your sleep apnea. This is because when you are sleeping, your head will be properly elevated. Having your head properly elevated during sleep can help allow for a healthier pattern of sleeping. This may reduce your need for using a CPAP machine in order to get a great night of sleep, but you should continue to do so until you get the okay from your doctor. This can free you up for being able to sleep however you feel comfortable, which is especially important if you are normally more comfortable sleeping on your side. This benefit can be enjoyed by side sleepers and sleepers of all types. 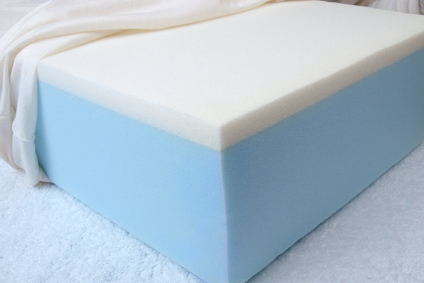 Memory foam mattresses are made of polyurethane foam, which is entirely comprised of inorganic fibers. As a result, the fibers can prevent those pesky allergy-causing dust mites from settling inside the mattress. There is also no food for them to make them want to stay there and thrive, causing you misery. As a result, you get the health benefit of a relief in the allergies caused by these dust mites, giving you a better night of sleep. Materials like cotton fibers found in standard mattresses attract dust mites, which will find food in the dead skin cells that fall off while you are sleeping. Memory foam mattresses are not conducive to this process, and your allergies will thank you for that. This is another benefit that is universal to both side sleepers and every other type of sleeper out there. Do you have a bedmate that will constantly toss and turn during the night? Does that always cause you to wake up when you feel them move? Traditional spring mattresses make the sleeper feel every movement in their bed. As a result, light sleepers often suffer from interrupted sleep that prevents them from being fully rested. With memory foam mattresses, users are unlikely to experience this same scenario since there are no individual springs to move with the motion. This will help get the perfect night of uninterrupted sleep, which is beneficial to your health. Another benefit of memory foam versus coils is that coils can often get squeaky, especially with age. This can make it even worse to sleep next to someone who tosses and turns because you can hear and feel them throughout the night. Getting a good night’s sleep is important to help your metabolism and mood, on top of many other reasons you need a good night of sleep. When side sleepers lay down, their body is entirely supported by their joints. 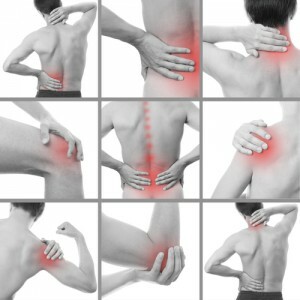 This is what causes the joint pains that you often experience upon waking up. Because of the supportive nature of the memory foam mattress, this support is spread throughout the body and spine. The contours help alleviate the stress on the joints, including the spine as previously stated. A traditional coiled mattress does not have the ability that memory foam mattresses have to conform to a person’s body in order to give it the support that it needs. Side sleepers will have an improved quality of sleep because they can lay as the need to, and will wake up without the soreness that is experienced from the more traditional spring mattresses. This also helps people who are older or those who suffer from such ailments as arthritis or other chronic joint pains, especially if they are side sleepers. Memory foam mattresses are arguably the best types of mattresses for side sleepers as a result of its contouring features. The side sleeper is likely to experience their best night sleep on a memory foam mattress. If you are sleeping well every night, then you are not worrying about always waking up more tired than when you fell asleep. This chronic fatigue is your body’s way of saying that your mattress is not doing you any favors. By getting the right mattress for your sleep style, you are going to be able to have the best night’s sleep of your life. You can now be energized in the morning, ready to take on your day. Getting the right amount of sleep for any type of sleeper is important for certain health benefits. Among those is an increased mood. Studies continually show that people who get less than the recommended amount of sleep are proven to be more irritable than those with the right amount of sleep. When sleeping on the proper mattress type for your particular style of sleeping, like a memory foam mattress for a side sleeper, you have an easier time falling asleep and are more likely to stay asleep. With the increased moods, you will find that you are better motivated throughout the day, have a friendlier disposition throughout the day, and numerous other benefits that come with great moods. You will also experience reduced stress from the sleep and as a result of your increased mood. Reduced stress can have a huge positive impact on your overall health, preventing such ailments as high blood pressure and reduce your chance of heart attack. 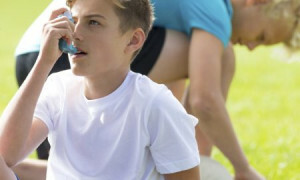 Another universal benefit is relief if you are a sufferer of asthma. As previously stated, memory foam mattresses are hypo-allergenic as a result of the synthetic polyurethane that they are made out of. This synthetic material does not attract the common dust-mite allergen; therefore people with allergies can have a better night’s sleep with this type of mattress. The synthetic polyurethane also helps the mattress to be resistant to mold, bacteria, bed bugs, as well as numerous other common allergens. Because of this fact, asthma sufferers can get some relief from their asthma attacks and can provide them an easier time sleeping. This can also be something important to consider if you or a family member is sensitive to many things and often have allergic reactions to items. You may be wondering why this is considered a health benefit. The reason that this can be considered a benefit to your health is that if the mattress is less likely to sag, then it is less likely to lose its shape. As a result, you will be able to consistently get that support that you desperately need and want from the mattress. You won’t have to worry about it sagging before you are able to replace it, and your back will not suffer as a result. With all the talk about how much support a memory foam mattress can provide for your spine, it was never mentioned that this can also especially help that nagging neck pain you can often wake up with. Memory foam mattresses, especially in combination of using a memory foam pillow, can help keep the neck aligned with the rest of the spine. 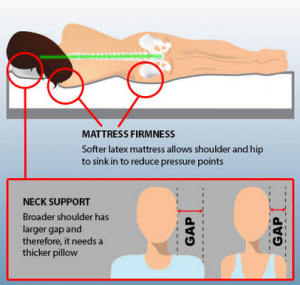 This is because the memory foam works together to cradle your special body type, when you are sleeping on your side you can feel your neck being perfectly cradled in the right spot. You will wake up without that nagging neck pain, improving how you feel during the day upon waking up. The reason that a memory foam mattress can correctly adapt to your specific body is because of the foam sensing your body heat and conforming to that. As a result, it can often absorb your body heat and make the mattress itself hot and uncomfortable to sleep on. This can be avoided by using such options as the gel-memory foam mattresses or opting for a plant-based memory foam option. The gel-memory foam option has not been proven to actually cool your sleep, however most argue that it does. Plant-based options have been proof to be around 25% cooler than standard memory foam mattresses. The odor of a memory phone mattress can often be off-putting for some people. This is as a result of the synthetic creation of the mattress. Most often, this odor can dissipate after a few hours or days though some say they experience the smell for several weeks. Memory foam mattresses can be heavier than some other mattresses, making it more difficult to move or flip by themselves. This is especially true for the higher density models. While you may be able to find some memory foam mattresses at a lower price at discount stores, generally memory foam mattresses can run much more expensive than traditional spring mattresses, by nearly double or triple the cost. This mattress type is not an ideal option for young children, especially infants. The soft mattress has the capability to suffocate your child if they are left unattended on it. This is better used for older children and adults. When considering certain cons, you should decide whether or not they outweigh the benefits of purchasing the best mattress type for side sleepers. With the numerous health benefits that a memory foam mattress can offer for side sleepers, it is definitely an option that you should consider if you find that your tradition spring mattress is not working out for you. Having a mattress that can perfectly cradle every curve of your body to relieve your joints and pressure points, is definitely worth it to wake up without having to suffer any more back or muscle aches first thing in the morning. This can give you a more comfortable and relaxing sleep, making the most of the time that you have to sleep. Memory foam mattresses are the most expensive type of mattress on the market today. This cost may be a lot at first, but there are a few factors that you should consider. Memory foam mattresses are generally better quality. Since they do not have springs or coils, the mattress generally does not sag and will last a lot longer than a traditional spring mattress. That is one way that you can get the most out of the money. As far as receiving an incredible night of sleep, this is money well spent since you cannot put a price on extending your lifespan for doing something as easy as sleeping. Memory foam is a great option for those people who have to share their bed with another person. First of all, you will not feel your partner sleeping next to you. You will not have to listen to their movements as well, since spring mattresses have the tendency to squeak after time. This is great if they go to sleep later than you, so you do not have to feel them settle in for the night. This is also great if your bedmate has a tendency of tossing and turning during the night. The memory foam absorbs the movement, making it so that you can get a night of undisturbed sleep. Before buying a memory foam mattress, you should consider checking them out to see how they feel when you are “sleeping”. Trying any mattress out before you buy it is important, but you should consider feeling first-hand how this mattress will form to your body to help you get the most amazing sleep you have experienced. Memory foam mattresses may not be as great for other types of sleepers like back sleepers, as back sleepers generally need more firm support than a memory foam mattress can offer. If you are a side sleeper, you should invest in a memory foam mattress. As every curve of your body is uniquely yours, you will want a mattress that is able to conform perfectly to your body type. This will help you get sleep that you have only dreamed of. You will not regret this decision, and your body will thank you for it. How to Titivate Your Master Bedroom with Wall Paint Components to add Oomph Factor in Your Boy’s Bedroom Teen’s Bedroom Design Cheatsheet: Grab An Option Bedroom Design Ideas: Holding On To The Trends Reason to change mattress When do You Need A New Mattress?